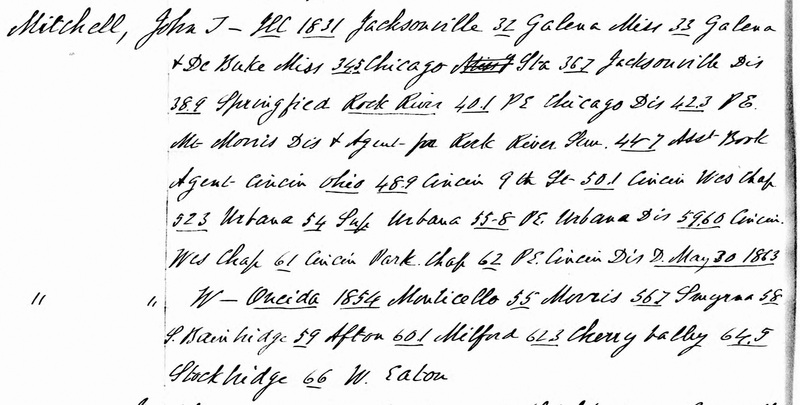 This is a revised version of a “From the Local History Room” column that first appeared in May 2012 before the launch of this weblog, republished here as a part of our Illinois Bicentennial Series on early Illinois history. Having taken an overview last week of the early development of the exercise of religious faith in Illinois, this week we’ll take a closer look at seeds of faith in Pekin’s early history. The first white settlers in Pekin, the Tharps, arrived in 1824 and 1825. “The Tharps had become Methodists before they left Ohio, and so Jacob Tharp welcomed a circuit-riding Methodist minister, Reverend Jesse Walker, into his log cabin in 1826 to conduct Town Site’s first preaching service,” says the 1974 Pekin Sesquicentennial. From that seed grew Pekin’s first Methodist church, which met informally in members’ homes until the 1830s, following the 1829 arrival of “fiery, plainspoken Joseph Mitchel,” who was installed as the church’s first minister. The old First Methodist Episcopal Church of Pekin, shown here, was built in 1867 at the corner of Broadway Road and South Fourth Street. 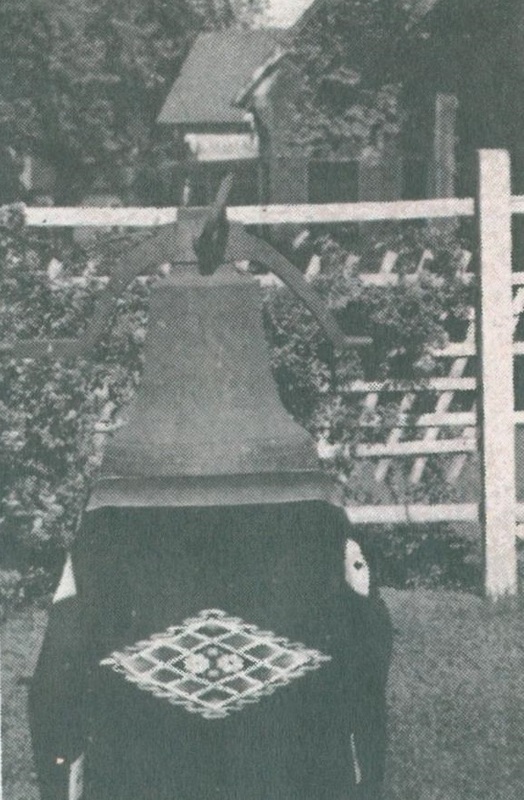 At that time the previous Methodist church’s bell, which had been looted from a Catholic monastery by Pekin soldiers during the Mexican War, was sold to St. Joseph’s Catholic Parish and installed in that church’s bell tower. Several other Christian and non-Christian faiths also established a visible presence around this general period of time, including Catholicism, which had retained a presence in central Illinois since the days of the French missionary explorers. “Early records indicate that Pekin residents sought a Catholic Church as early as 1839; and it is reported, but not authenticated, that a St. Stephen’s Chapel was built shortly thereafter,” says the Sesquicentennial. In fact, the structure (apparently made of logs) was dedicated to St. Lawrence, not St. Stephen. 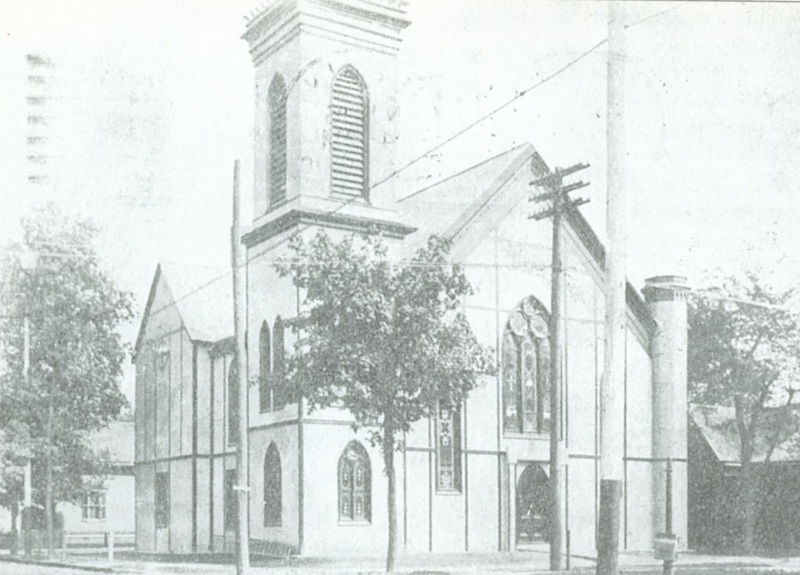 “Pekin: A Pictorial History” says that around 1850 the Catholics of Pekin moved to Flint’s Hall on lower Court Street, where the first regular Masses began to be offered by Father John C. Brady. In 1863, Father Jerome A. Ryan of Peoria presided at the laying of the cornerstone of St. Stephen’s Chapel at the corner of Second and Susannah. That served as the original church for St. Joseph’s Parish, which served the English-speaking Catholics in town. (German-speaking Catholics would build their own Sacred Heart Church in 1872.) The original St. Joseph’s Church was replaced in 1904, and that church in turn was succeeded by the present structure in 1969.